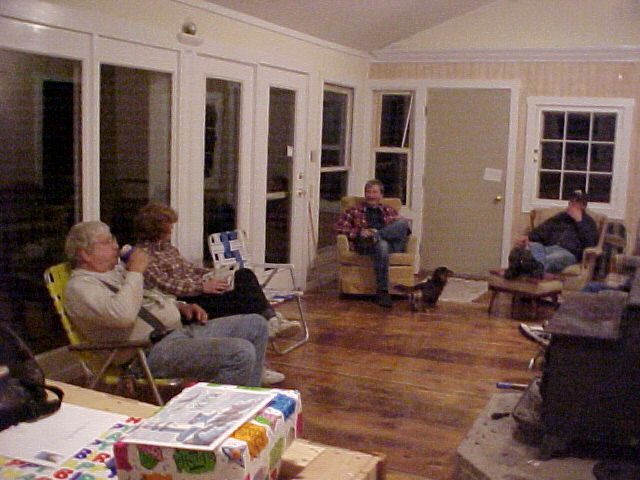 ...and on this page, you can see how we spend time with our friends and family at the Fry River Camp. Jen, Carol and Mona on the deck of the Fry river camp. 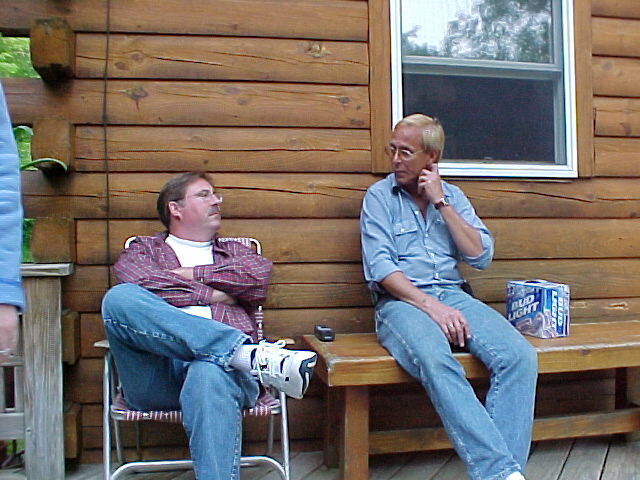 Vic parties on the River Camp deck. 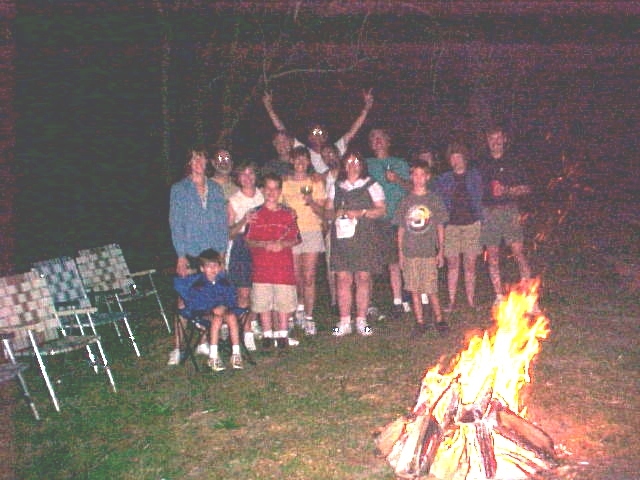 The whole gang poses by the camp fire at the Cinco de Mayo party. 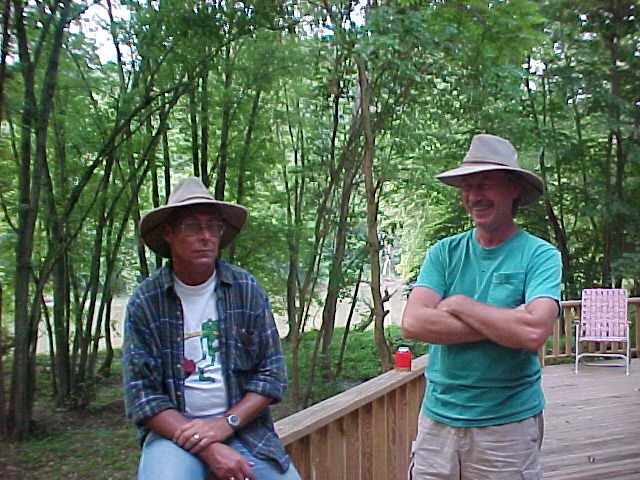 Vic and Tim show off their hats... the poor woman's answer to Indiana Jones or Colby from Survivor! 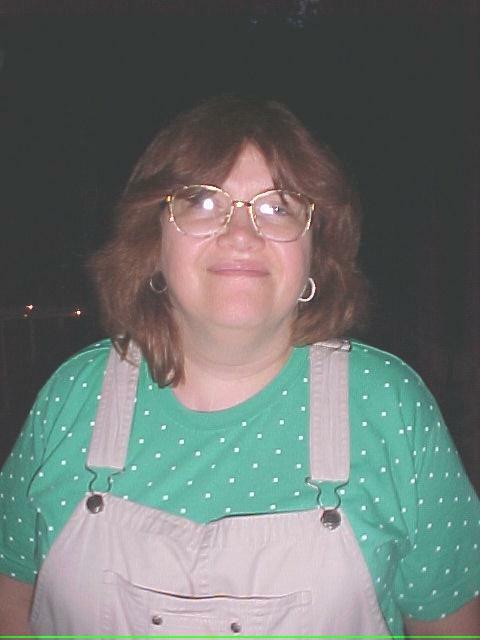 Kathy enjoys the peace and serenity at the river camp. 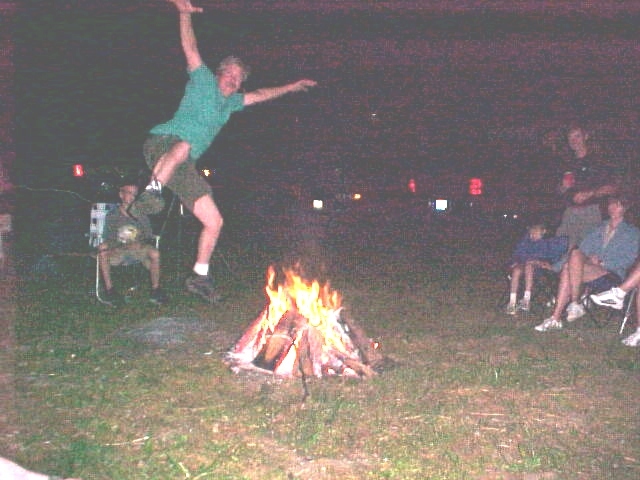 Tim leaps over the flames -- can you say "too many Margaritas?" 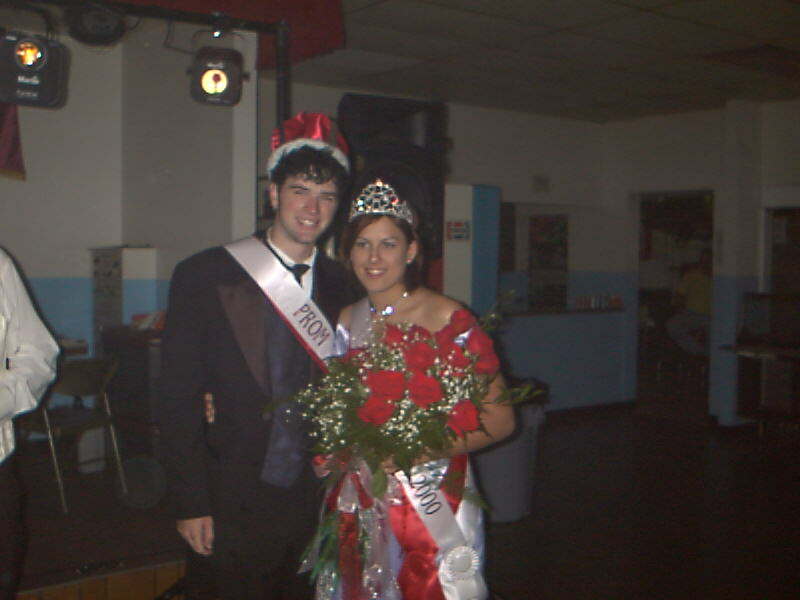 David and Jennifer, King and Queen of Milford's Prom, 5/20/00 -- same night as our wedding. 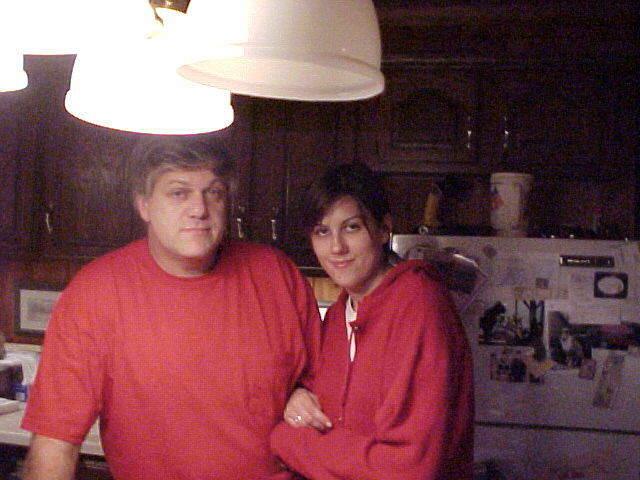 What a party THAT was!